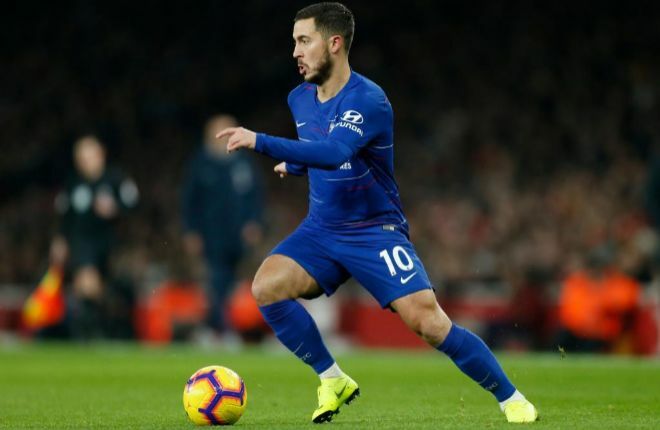 Sarri points to Hazard: "Right now he is not a leader, he has to respect himself more"
The two recent losses to Arsenal and Tottenham have not fallen well in the mood of Maurizio Sarri, a strong character, willing to reverse the bad start of 2019 in any way. Five games where the balance of Eden Hazard was reduced to one single assistance. "I think he has to do more, because his potential is higher than his performance, first of all, he has to respect himself," the Chelsea coach said. The return of the semifinal of the League Cup, where the 'blues' must overcome the 1-0 conceded in Wembley, is presented as the first opportunity to reverse the situation. This was clarified on Wednesday Sarri, in a previous one where the figure of his maximum star was again in question. "At the moment, Eden is more a footballer focused on the individual level than in his leadership," slipped the former Naples coach. "Of course it is very important for the team, because he is a fantastic player, he can always win a match in two minutes himself, sometimes in a single minute, but at this moment he is not a leader. fantastic, "added Sarri, who in these five months at Stamford Bridge never hesitated when it came to pointing to his stars.